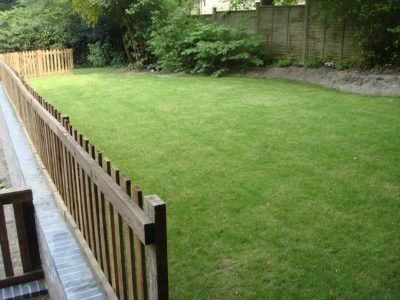 In Winchester we are often presented with gardens that are big with regards to the area but inconvenient due to slopes and steep banks. This project is similar to the first listed in this portfolio. 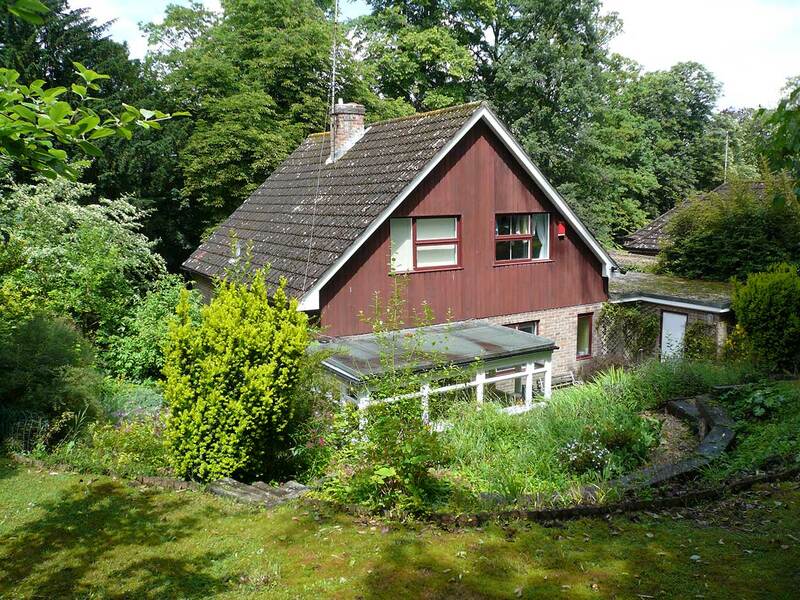 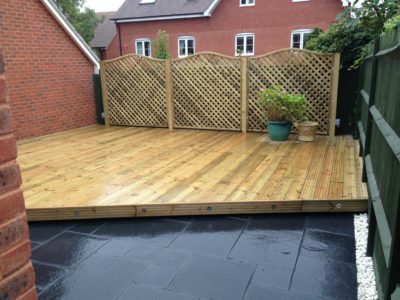 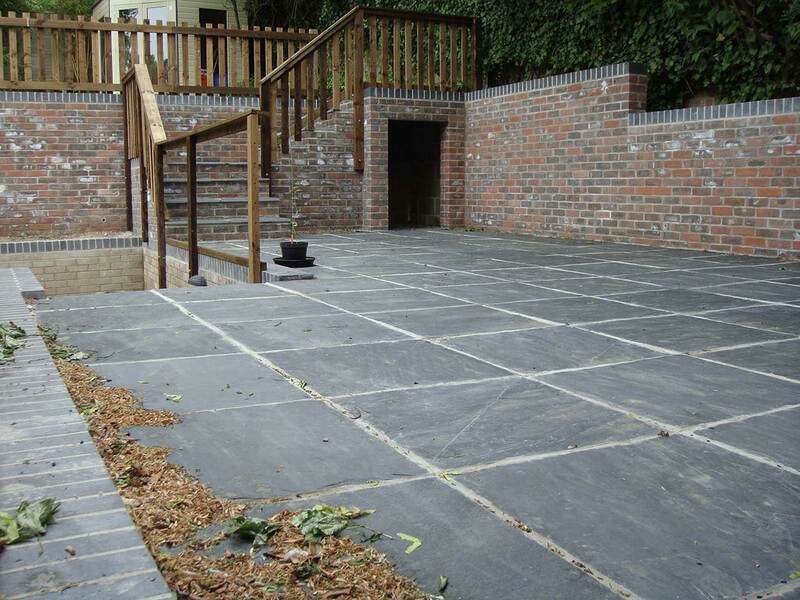 The customer had young children and the back garden consisted of one steep bank which was not very safe or practical. We took the bank out, built retaining walls and terraced the garden. 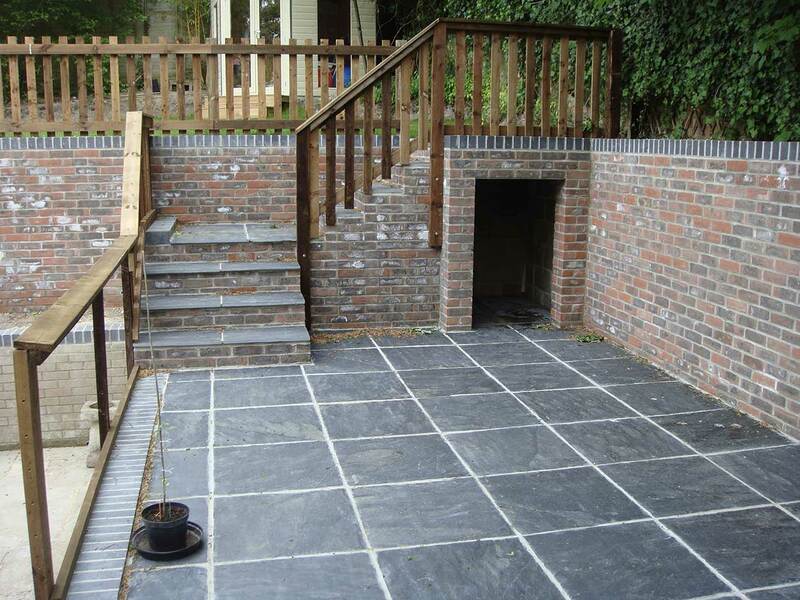 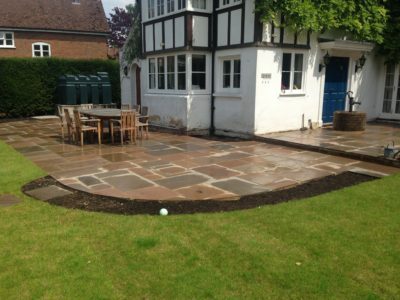 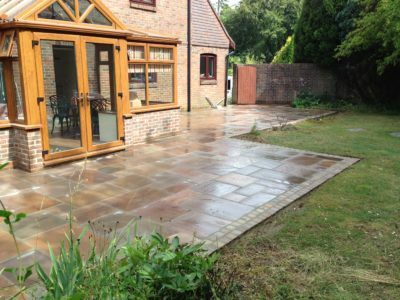 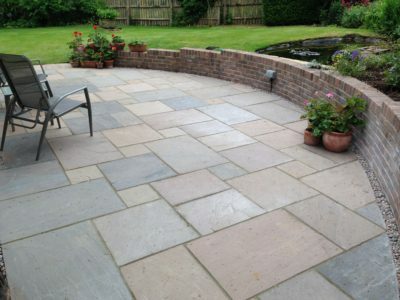 The result was three main areas; a large lawn at the top of the garden, a large slate patio on the middle section and a path for access around the lower section of the garden. 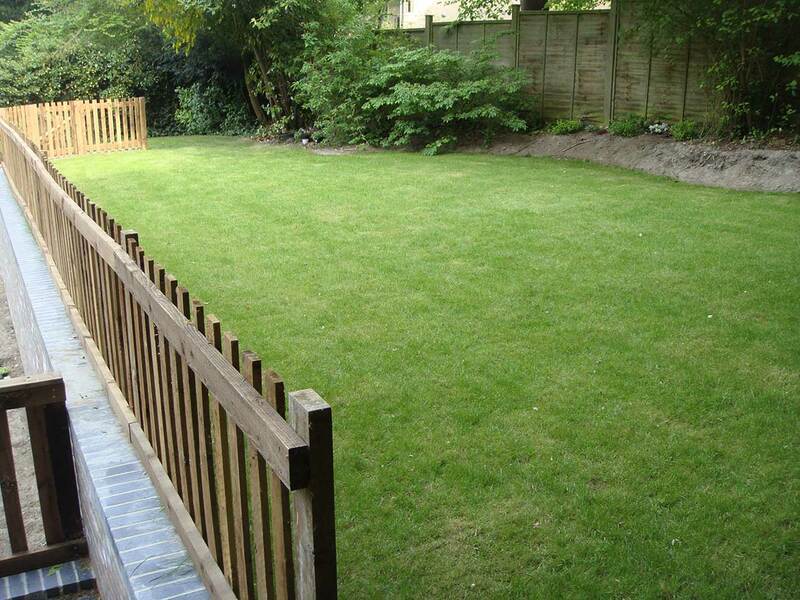 All of the areas above ground level were fenced off using picket fencing to make sure it was safe for the children. Unfortunately I lost all of the photos taken before we started the project but have some good ones from during and completion.